Request Support Need help? Found bugs? Request a Quote Want to upgrade? Request a Quote Want to upgrade? 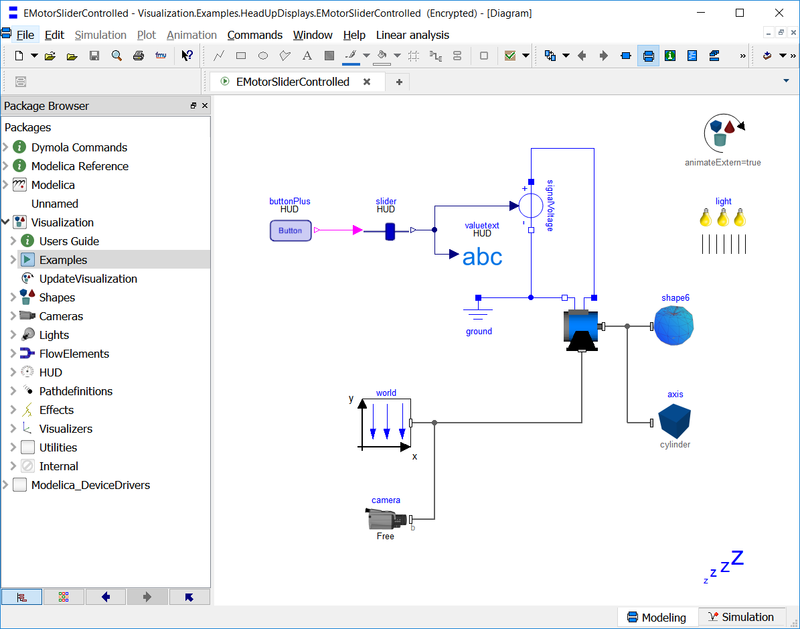 The Visualization Library provides an advanced, model-integrated and vendorunspecific visualization tool for Modelica models. It is especially useful in the mechanical, fluid and electrical area. Many components are available for offline, online and real-time animation. Most components are attached to a Modelica model with a Frame connector of the Modelica.Mechanics.MultiBody library. 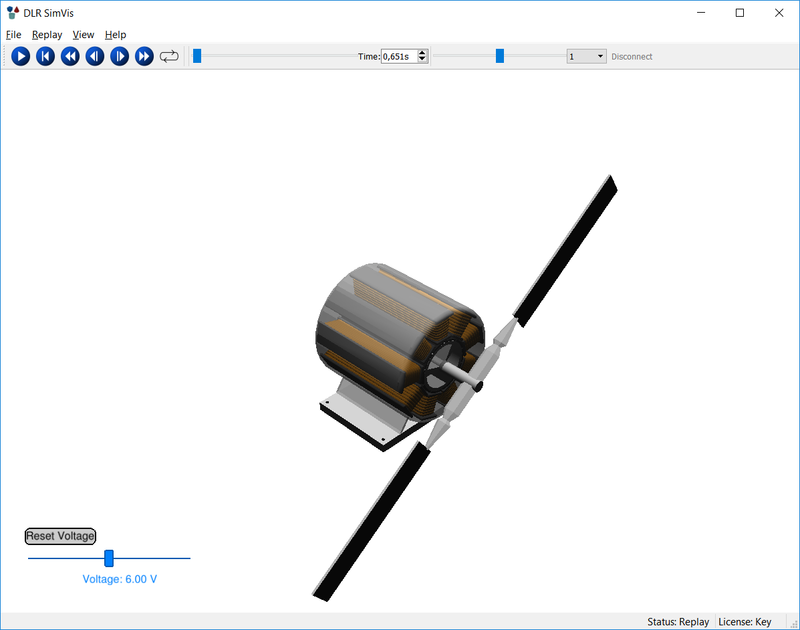 The library contains visualizers for basic shapes, CAD files (.3ds, .obj, .dxf, .stl, .vrml and more),flexible bodies and surfaces, text, light, energy-/mass-flow visualizers, analogue instruments and weather effects. A camera system can be used to define the point of view manually or controlled by simulation. Components like Buttons, Checkboxes and Sliders are available for the creation of graphical user interfaces for the visualization software. These elements can be used to control the simulation interactively during the simulation run. The components are visualized in an integrated system providing support for multi-camera scenes, a fullscreen mode, several monitors, replays and stereo/wireframe modes. It is based on the OpenSceneGraph framework. The integrated video-export function allows the export of the animation replays as MPEG4, Windows Media Video, Flash Video and Lossless HUFF video. The standard Modelica visualization for multi-body models can be replaced by this Visualization tool, if the Shape component in the ModelicaServices Library is replaced by the user. Please fill out the following form. You will receive an email containing a valid download link for the library. If you do not receive an email after a few minutes, please check if the email has been placed in your spam folder. An error has occured. Please check your input data or try again, later. Yes, I want to subscribe to the LTX newsletter. Please check your email. A download link has been sent to you. If you should encounter problems with your download, please contact sales@ltx.de. We hope you enjoy using the community edition of Visualization Library and DLR SimVis!